I tried photographing Bruno watching birds and squirrels at the feeder, but the my iPad doesn’t take good enough pictures. The high contrast of a black cat sitting in the sunlight seems to just blow out the contrast. Maybe I’ll break down and get me a decent phone one of these days. In lieu, here is another Internet story about mountain lions. 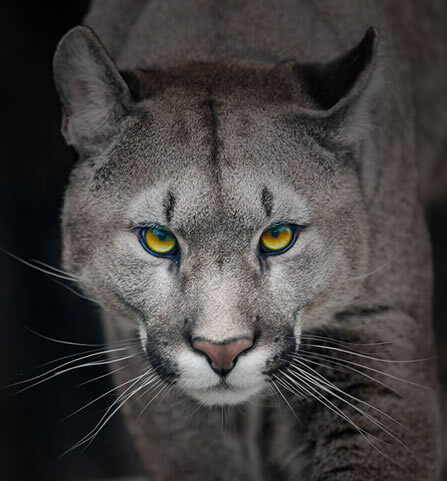 When I was in Vancouver, there were frequent stories about people having run-ins with mountain lions. It is easy to forget how close to Mother Nature a major city like that is. Fortunately, I have little desire to go on walkabouts and meeting them in person. But, they are beautiful creatures (that would live the life of Riley feasting on my chubby corpse).